Ellen Cronin Badeaux, LLC is proud to provide divorce legal services in New Orleans. 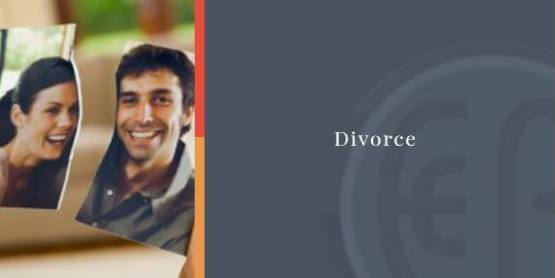 We know that getting through a divorce involves some of the most complicated and important decisions you will ever have to make in your life. The choices you make will determine long­-lasting effects on your children, both your extended families, and sometimes even your friends. With our help and over 23 years of experience in divorce law, our priority is to achieve what’s best for all parties. When in need of a divorce lawyer, hire someone who gives you the personalized service you require for the situation you’re facing. Hire a family law attorney; one who is better qualified and can keep you informed and well­-advised of all your available options, every step of the way. Property division – Considering community property and separate property including assets, liabilities, reimbursements, and contributions to education. Child support – How much money you need to pay the other parent each month or how much money is owed to you, if any. Child custody & visitation – legal custody, sole custody, joint custody, split custody, shared custody, physical custody, visitation, supervised visitation. Spousal support – Has someone committed adultery, domestic violence, a felony; how much money you have to pay your former spouse each month and for how long , or how much money is owed to you, if any, and for how long. Relocation – does one parent want to move more than 75 miles away or out-of-state? With over 23 years of experience in family law, Ellen Cronin Badeaux, LLC provides you with the strength and safety that clients need during this complicated and sensitive time. Protect your financial health and your children’s financial security. Contact us at (985) 892-1955 and talk to our divorce lawyers or mediators in New Orleans, Louisiana.